Porsche announced the debut of the Porsche Design Driver's Selection spring collection. Presented under the theme of The Speed of Sports, highlights of the collection include two new Porsche city bicycles, the Bike RS and S, along with new MARTINI RACING accessories and apparel. Designers of the new Porsche bicycles were inspired by the fluid lines of the Porsche 911, making both models a great alternative transportation choice for any sports car enthusiast. 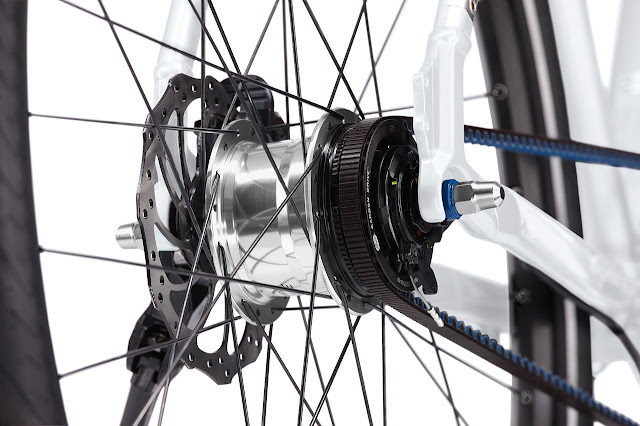 Both bikes combine light weight and premium components such as Magura hydraulic disc brakes for strength, speed and responsiveness – must-haves for cycling enthusiasts. Designed for urban commutes or recreational fun, the Porsche bikes are available in small, medium and large sizes to suit most any rider's profile. As its name promises, the 29-inch Racing Sport (RS) edition is engineered for pure performance. The Bike RS features liberal use of carbon fiber, including the frame, forks, handle bars, brake levers, stem and seat post. 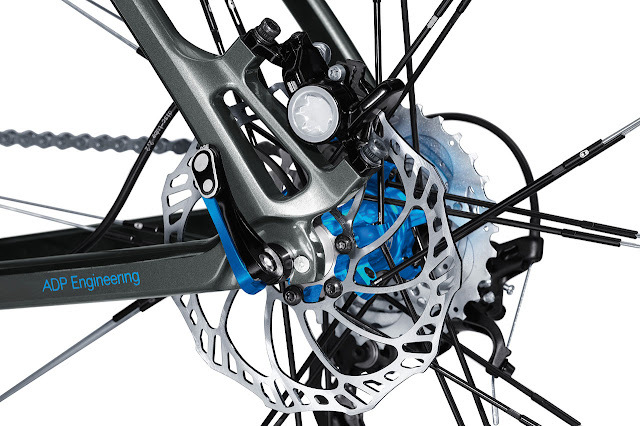 Ultra-tough yet weighing a mere 19.8 pounds, the RS comes standard with a premier 20-speed Shimano gear system and custom pedals, both with an exclusive Electric Blue finish to complement the RS's black frame color. 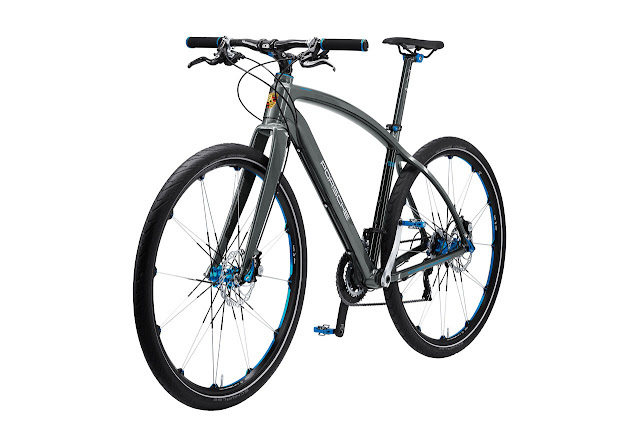 Only slightly heavier (24.2 pounds), the Porsche Bike S combines a hydroformed aluminum frame with carbon fiber forks for sporty looks and a stable ride. The low-gear belt drive and Shimano 11-speed Alfine internal hub gear system deliver a smooth ride as well as low maintenance. The Bike S is available in Carrera white. 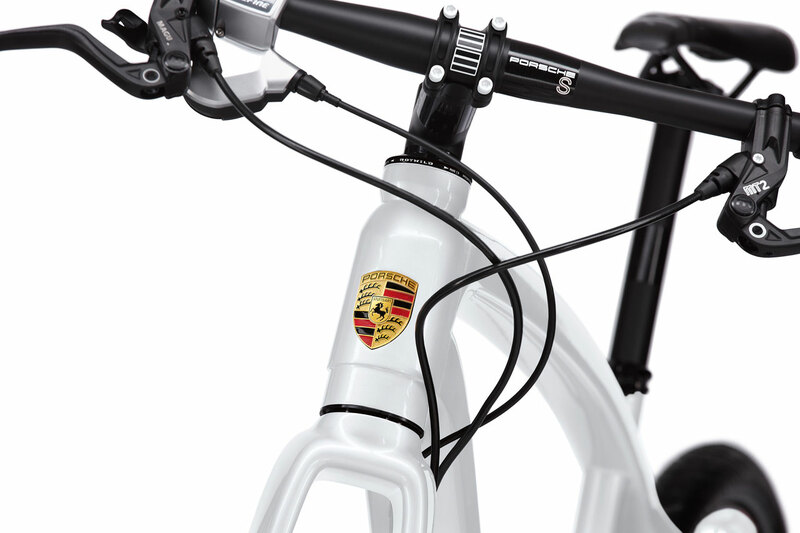 Both bikes are sold exclusively through authorized Porsche Dealers.